If you’ve seen this card before, it’s because I’m revisiting it again in honor of today’s Giveaway and Guest project! 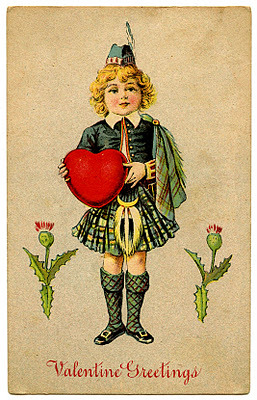 I originally posted this cute Scottish Boy Valentine, several years ago, before I knew anything about Photoshop. This is the new and improved, higher res image of that same Valentine. Now for the more exciting part! My dear friend Dinah Corley, from Gourmet Gifts, came up with this fun idea for Valentine’s Day, using one of her amazing Recipes! Notice how she placed a Heart Shaped Cookie over top of the Heart that the Scottish Boy is holding. So cute!! 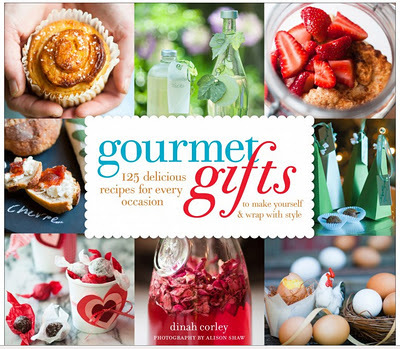 This is one of the many fabulous projects from Dinah’s book Gourmet Gifts. You can grab her Scottish Shortbread Cookie Recipe and instructions for the project HERE. And don’t worry the “glue” she used is edible and tasty too! Wouldn’t these make a fabulous gift for Valentine’s Day?! Looks like a great book! I would love to win. 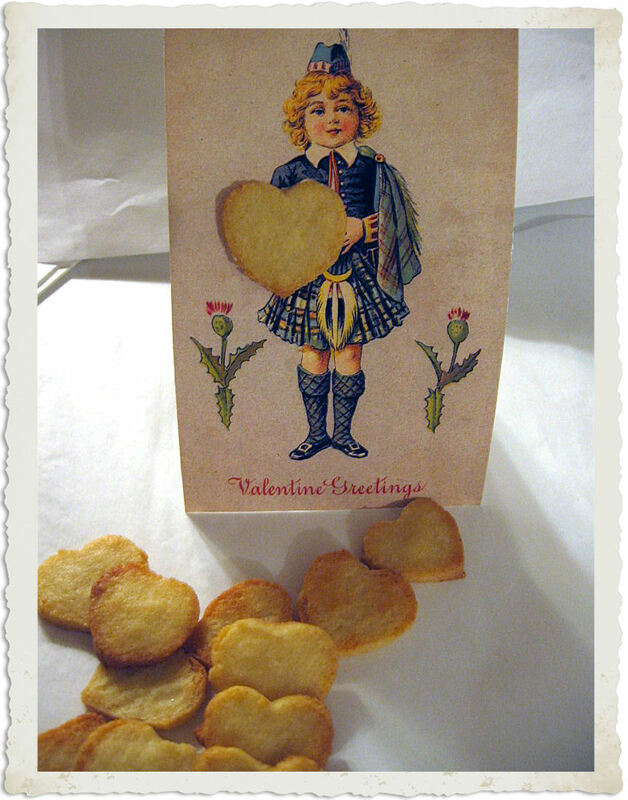 That’s a great combination, the vintage valentine and the shortbread cookie-very clever! I would love to get this book. I love to give homemade craft items and even more…..when I receive a gift that someone has made, I treasure it that much more. This book would be awesome!!! Thank you for the opportunity!! I would love to win this book. Thank you for offering. And such a cute idea for something to do with the cute Scottish boy! Ooh..the book looks so interesting-please include me in the giveaway! Thanks so much. This would be great to give to my daughter who often bakes gifts for her friends and spends hours coming up with creative ways to present them. Wow, this is so “right on time”….I want to start making the gifts I give. This book would be a wonderful resource. Thanks so much for the opportunity to win it. Love this shortbread recipe and the Scottish boy image. My husband’s family came from Scotland and I know he would love the cookie and the thistle on this vintage image. I would love to win. Love the image. My brother was born on St. Pat’s day so this is perfect for him!! And the cookbook, divine! I like this image too! And thanks for the chance. That looks like my kind of book! What a lovely give away! Thanks so much. Also a big thank you for all the lovely pieces that you post everyday. Such a great gift. I love to bake and would like some ideas for gift giving yummies! Thanks! What a wonderful giveaway for a lucky winner! Thank you for all of the wonderful images that you find for us!!! Wonderful giveaway from a terrific site! Wow, I would love a chance to win that lovely book. Charming idea and charming book. I love the Scottish boy (being in a pipe band I downloaded it as soon as I found it). I am so amazed at how imaginative and creative my fellow women are. I absolutely love Dinah’s idea and would love to win this book! I think I hear the bagpipes! My Scottish shortbread was rectangular in shape. This is certainly a much more snazzy presentation! Enter me, and I’ll go over to her blog and enter as well! What a great giveaway. Lots of luck to me & everyone else. Looks like a great book! is how I can be found…I would love to win. Oooh this looks like such a fun book!! A double prezzie- a cute vintage hat pic and a give-away! I think the cookie thing is a great idea..thanks, Karen! the book looks fab! and the laddie in his wee kilt is so cute! great post, can’t wait to use this one – 1st vday as a married woman, woohoo! Hi, thank you for entering me in this giveaway! It combines two joys, stamping and cooking! Enter me!!! What a great book that looks to be!! btw…LOVE all your wonderful graphics. Look forward to them everyday! What a great giveaway! I’d love to have this book. This book would be so fun. Thank you for the chance to win. I love your site. I’ve created a file just for my favorite graphics. I would also love a copy of this book. How fantastic! Thanks to you and Dinah both for doing this great giveaway. Also want to say thanks for all the terrific work you do to get the vintage images posted for all of us. You’re the best! Anyway, I want to thank you so much for all the amazing stuff that you share. I love it! As for the Giveaway…Winning would just be icing on the cake. What a cute idea with the heart cookie. I love giving away edible gifts. And the book sounds terrific! Love to give food gifts. The book would be very welcome in my kitchen!! What a great book. Would love to add this to my collection. Thanks for such a great blog. I follow you everyday. What a wonderful idea…everyone, especially me, can use such a great book! Thanks for the opportunity! This looks like a wonderful cookbook! I’d love to try it! Ditto on the Wonderful givaway!!! I love getting my Graphics Fairy emails! This Scottish boy is a cutie and would love to win the cookbook for more gift ideas! I love valentine’s day and hearts!! What a beautiful book. wow, I’ve been wanting this book for ages, what a great giveaway! I would LOVE a copy of this book. It looks amazing. Baking is the one creative endeavor I have never been drawn to, but it is my 14 year old daughter’s favorite!! Lucky me, because she is good!! We’d love this!! My favourite Valentine is a grandaughter born on this day. So I would love to receive a book of ideas for presents I would be a le to cook for her. Would love the book! Pick Me!! I would love to win this book. Looks great. I also want to thank you for sharing all of your treasures with us. That’s a great idea to put the little heart cookie on the card. I’m a cardmaker and always looking for unique embellishments! That’s pretty darn unique! The book looks fantastic, with lots of great ideas! Would love to win one! Yum, I love me some Scottish shortbread cookies. Must try your recipe Dinah, sort of like someone in the kitchen with Dinah someone in the kitchen I know–yeah, me. I read your posts everyday. Always brings a smile to my face. This looks like a great book! People like edible gifts better than anything, and I need new ideas! Oh I love love it! 😀 YAY! MUST HAVE! YUM!!! Hope I win it – if not, maybe whoever does can send me some of those cookies!!! Would love to win this book! And thank you for all you do and the beautiful free graphics you give us! I love your site and I am love scrapbooking and my favorate style is vintage. Your images are wonderful!! Thanks for the chance to win this great cookbook.. that is another one of my things… I collect cookbooks..
Every year I search for small images to make Valentine’s cards for my co-workers. Last year I found one on your site, and this year I see you have the cutest little Scotsman ever! I guess being a Scotsman myself sealed it for me. And a giveaway too? Wow, what could be better than that. Thanks for all the great images. Ooh la la. What a gorgeous book. Thanks you Graphics Fairy. Neat book. I can always make space for one more. Would love to win this lovely book. But more importantly, I want to thank you for all the lovely graphics you share with us. I can hardly wait each day to check my email to see what new goody you’ve posted. Thanksever so much! Oh, I would dearly love to win this book…badly. Love the idea of edible glue…..Enter me for the book! Thanks for another great image. Looks like a great book and would be fab to win. TFS the clever card idea with the image and the cookie. WOW this book sounds fabulous. thank you and Diane for the chance to win. Love the image of the Scottish boy!! Would love to win this book—it looks wonderful and I’m always making things like this for my friends and 2 Grandchildren!! Super cute Valentine image! Looks like a great book and I would love to have it! Yep, I’ve just added this to my list of “Must Do!” project. Wow, this book looks so interesting and fun! I am always looking for new and clever ways to give away my goodies. WOW!!! I would LOVE to win a copy of this book! I’ve been cooking for most of my 61 years but I’d enjoy doing some FUN recipes!!! Thanks for the opportunity! Would love to have this book – looks fabulous!! Cooking is not one of my favorite hobbies, but this could be a reason to begin! This book is so lovely! You always post the best images….the vintage valentine is sooo adorable. This is such a beautiful book. Thanks for the chance to win. The giveaway is awesome and I will be sure to visit her site! I have also linked you up on Pinterest! Have a great weekend! 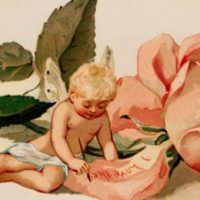 I really love your blog and your wonderful, free 🙂 vintage art. This book looks great! I would love to win it for my daughter who loves to make food stuff for gifts. I would love to win this book especially for the cookies. My cookies never turn out , and this would be a big help. I’d love to win that book! Throw my hat in the ring! I thought I was following you but I guess I signed up for emails instead…but I’m following you now! Thanks so much to you and your friend. YOua re very generous. Love the graphics too…so pretty! I would just love to have this book. the cookies look yummy. very cute valentine card. Great Idea…. What a wonderful idea. Would love to win. Thank You for sharing. Great book, great giveaway! Thanks! Beautiful book! Thanks for the giveaway! Great Idea and graphic. Thanks for the giveaway and for all that you do. What a fabulous giveaway!! I would love to win this book. very charming, love the card as is but the cookie adds a special touch. I would love to win a copy of her book. I love to bake. This book would be great to win. Thanks for the giveaway! It would be delightful to win this book! How generous of both of you! What a cute idea. Would love to win the book! Keeping my fingers crossed for this one. Fabulous giveaway! What a wonderful giveaway from a fantastic site. Thank you for making it possible. Blessings to all who enter. Yummy! Just like this blog! This would be a great book to have. i love to cook and I love to give gifts. A million thanks to you Karen & Dinah! Please include me ! A yummy post and delicious book. I love the little bagpiper…so cute! Thank you so much for the valentine scottish boy & the connection with Dinah! So adorable! What a fantastic idea, and I love the recipe because it is so authentic and similar to one that was given to me by a Scottish neighbor lady many years ago. Cooking is my second favorite thing to do! Of course, antiques and crafts are my first love…thank you for the chance to win the cookbook! The book looks so wonderful! Thanks for all your awesome vintage clips. They are so special. Be blessed! What a nice giveaway !!!! LOVE COOK BOOKS!!!!!!! Have a large collection. Seems I have never seen a cook I didn’t like. I love giving beautiful food gifts. This book would so expand my repertoire! I love cookbooks-I collect them and occasionally use them for cooking and baking!!!! This book sounds so interesting. Thanks for the giveaway. I’d love to have a copy! I love all things vintage and crafty as well as cooking and baking.It would be nice to own this book so I can bake new things and package the goodies in a new and fresh way! I love your website! Please enter me for the book. It looks fantastic! Thank you! Please enter me for the chance to win this book. It looks to be awesome. Thanks so much for the opportunity to win this great book. And what a darling idea! How about instead of shortbread cookies, little pink or red sugar cookies????? I love the Scottish Boy image and always love recipes and giveaways. Thanks for the chance! This cook book would be great for my husband! Thank you for the chance to win! Thanks for the opportunity to win this book. It looks great! Nice give away! A great combination of graphics and recipes! Count me in, Karen! Just the beautiful cover of this book shows it’s a real winner! If I win, I promise to share with my sis! Combining two loves- food and crafting! Looks like it has some fab ideas! Book, cooking, author autograph? Count me in! I love your graphics and would love to have this book. I think handmade gifts are so more personal and would love to win this book! Just the cover of the book draws you in, and I would live to have this book! Food gifts are so fun to give! Thanks for having this giveaway! Cute idea! Love the cover of the book and the valentine idea. Thanks for the opportunity to win this wonderful book. I love to bake and wow this is a sweet giveaway…. I love good shortbread. And the book looks lovely. This book looks like a lot of fun, I would love to win. Looks like a really beautiful and inspiring book! Thank you for doing this give away. It’s nice to get a book that is autographed!! Hoping I win and keeping my fingers crossed! What a fabulous opportunity! Would love to have that book! Awesome that it’s signed by the author! It’s as great of a deal as all the great images you provide us!! Thank you. Oh How I Would Like to Reach in and Help Myself to One of Those Sweet, Dainty Cookies! Smiles… The Book Looks and Sounds Fantastic – I LOVE Giving Home Made Gifts From the Heart. Thank You For the Opportunity to Win! Thank you so much for your wonderful graphics and for this giveaway. I agree, the cookie on a card is brilliant. Lovely. What a wonderful gift! I like to give food gifts, so this would be a fun book to check out. What a fabulous giveaway! Thanks for all the amazing art freebies!! I love Dinah’s cookie on the valentine. And, tasty, edible glue–who knew? I’d love to win. Thanks for hosting. i’d love to win- here’s to hoping! Thanks for this great giveaway and the wonderful image resource that this blog is! beautiful, creative ideas and hours of mother-daughter fun! Book looks like it is full of wonderful recipes! Thanks for the chance to win! Oh, I would love this book! I love to make gifts. Looks marvelous! Enter me, please! Your vintage graphics are wonderful, love the site and plan on using many of them in my vintage cards and ecards. Site not set up yet, but working on it! The giveaway looks wonderful! What a superbly generous idea! …and thanks Karen for the great graphics..
That book looks wonderful – please enter me! That’s for the great giveaway. Looks like a yummy book. Love the image, love that recipe, and would love to have that book! Thanks for the opportunity! Please enter me for this giveaway I would love to win.thank you so much. love the image – thank you! I’m glad you like it Mary!